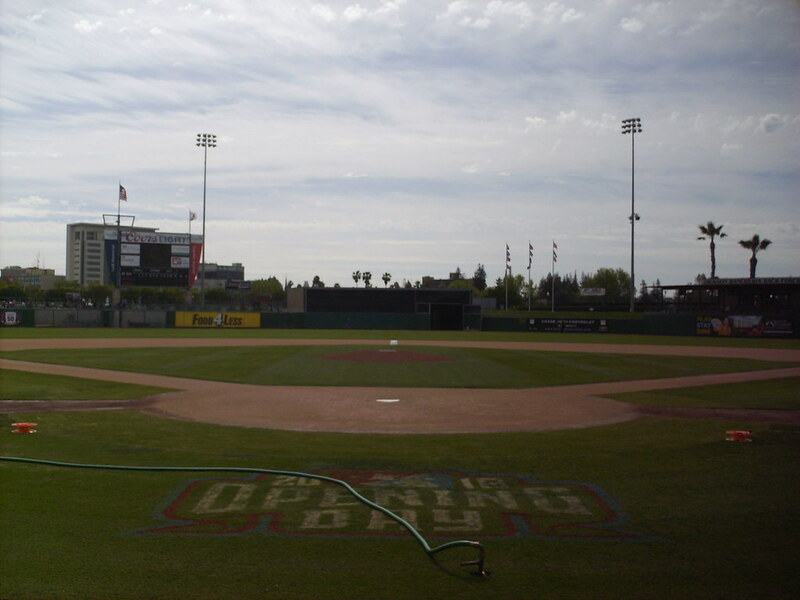 The view from behind home plate at Banner Island Ballpark. 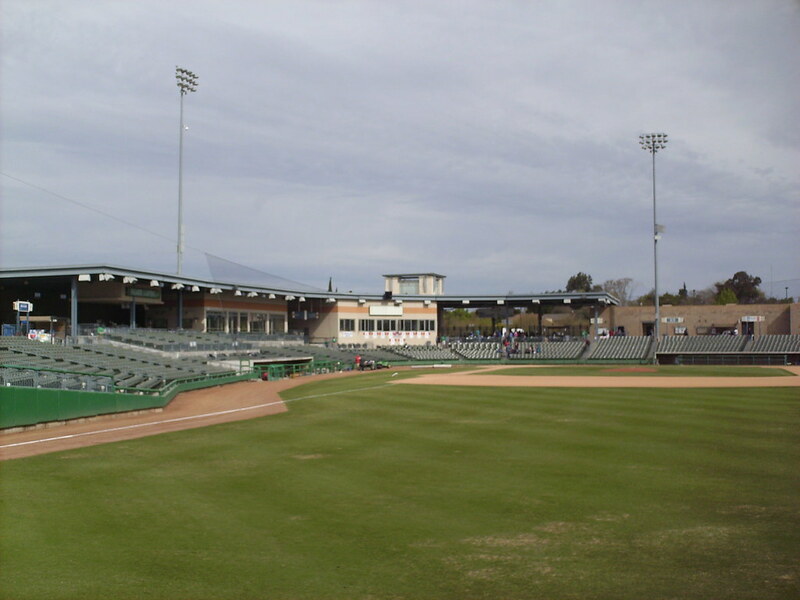 The grandstand at Banner Island Ballpark, as seen from right field. 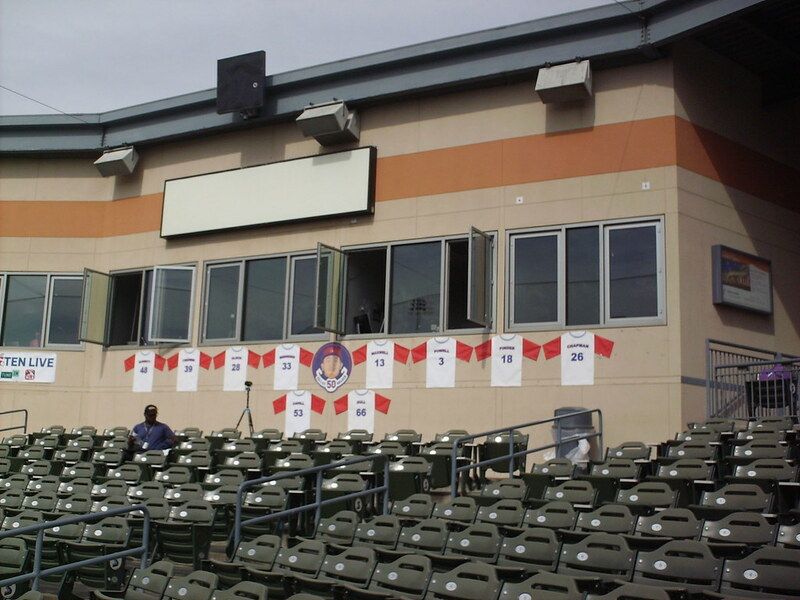 The pressbox sits at the top of the small seating bowl. 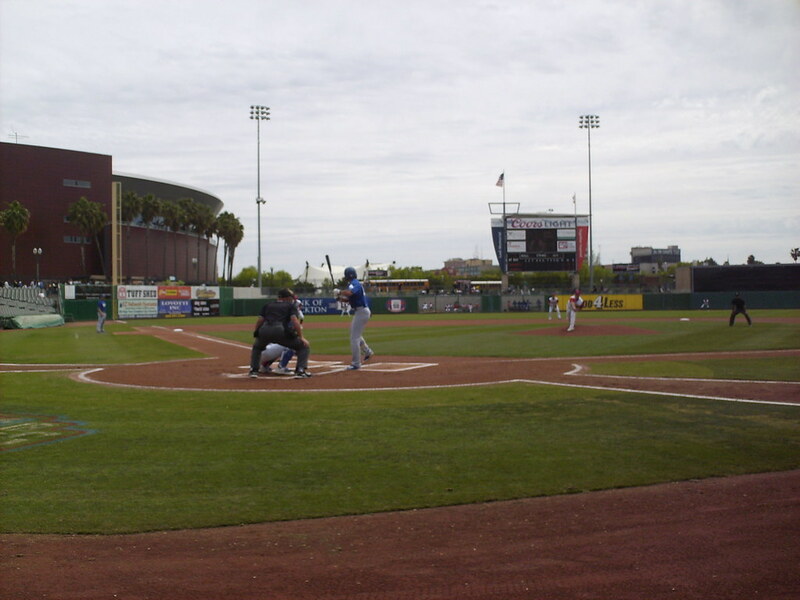 Jerseys on the front celebrate former Ports players playing for the parent Oakland Athletics. 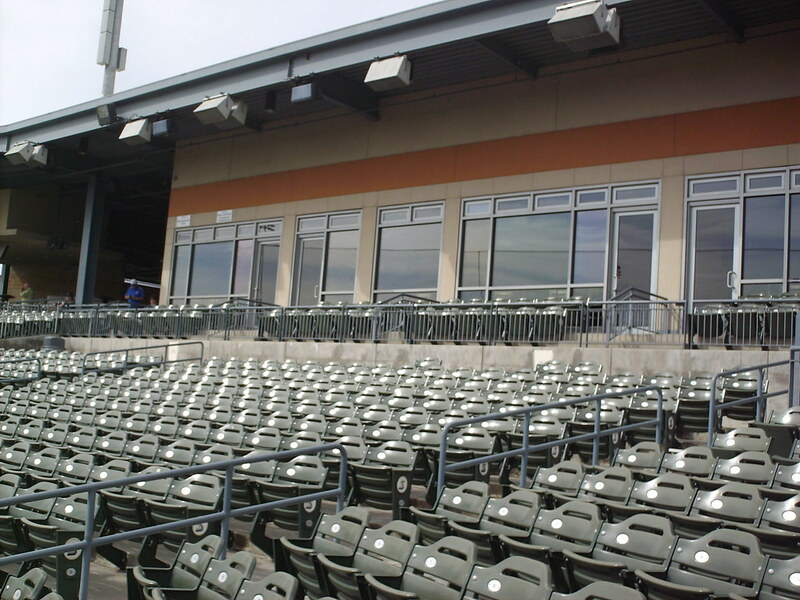 Several luxury suites sit on the first base side of the pressbox. 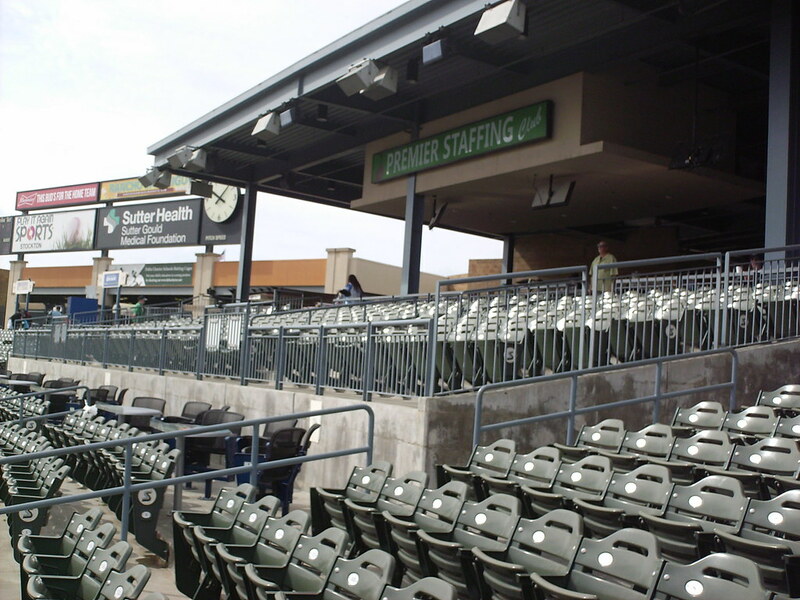 A club seating area sits, sectioned off from the rest of the seating bowl, on the right field end of the grandstand. 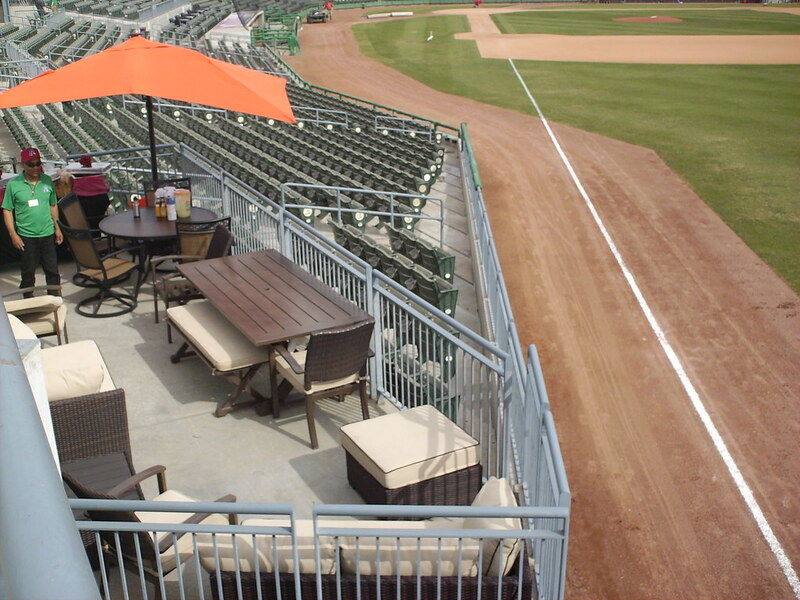 An outdoor luxury suite, with patio furniture, sits where the seating bowl wraps back around to face home plate in the right field corner. 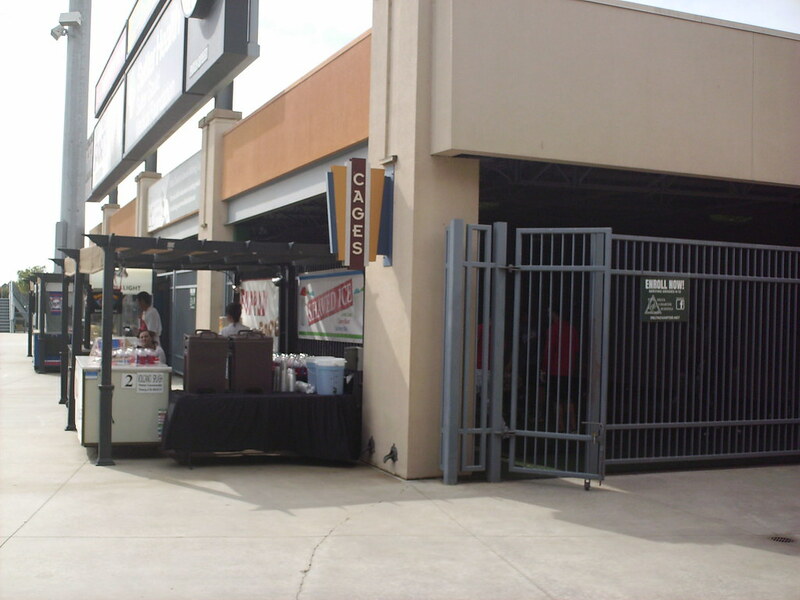 The Ports' batting cages are located along the concourse, so fans can watch the players hit. 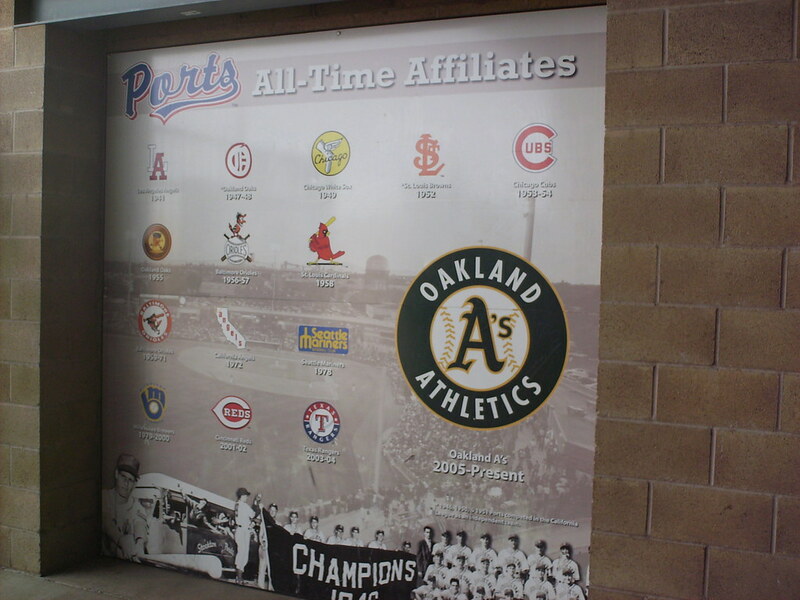 A mural at Banner Island Ballpark celebrates all the teams the Stockton Ports have been affiliated with, dating back to Pacific Coast League teams. 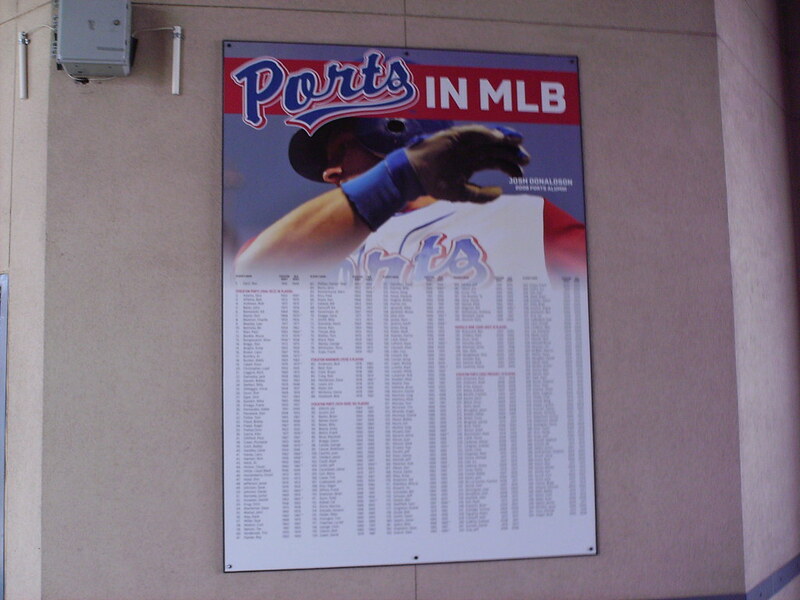 A signs on the concourse lists all the former Ports players who have made it to the major leagues. 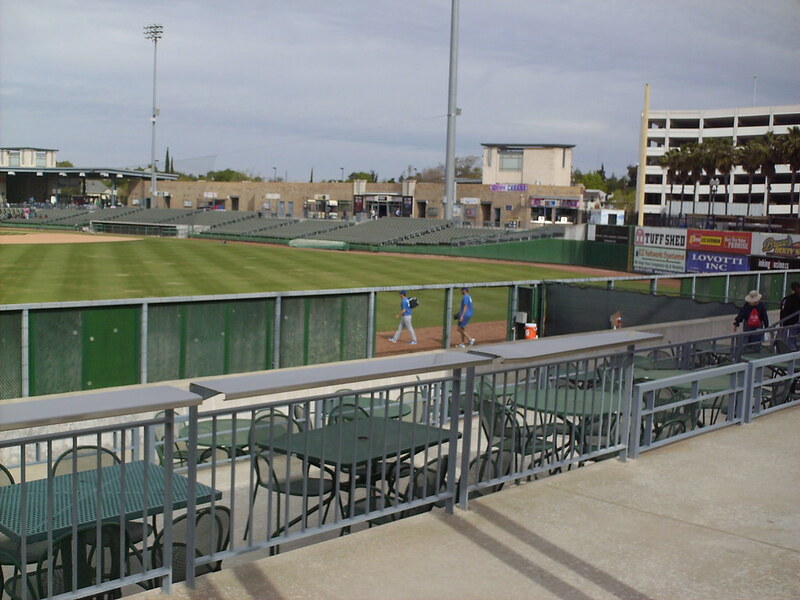 Picnic tables and drink rails overlook the field from behind the right field wall. 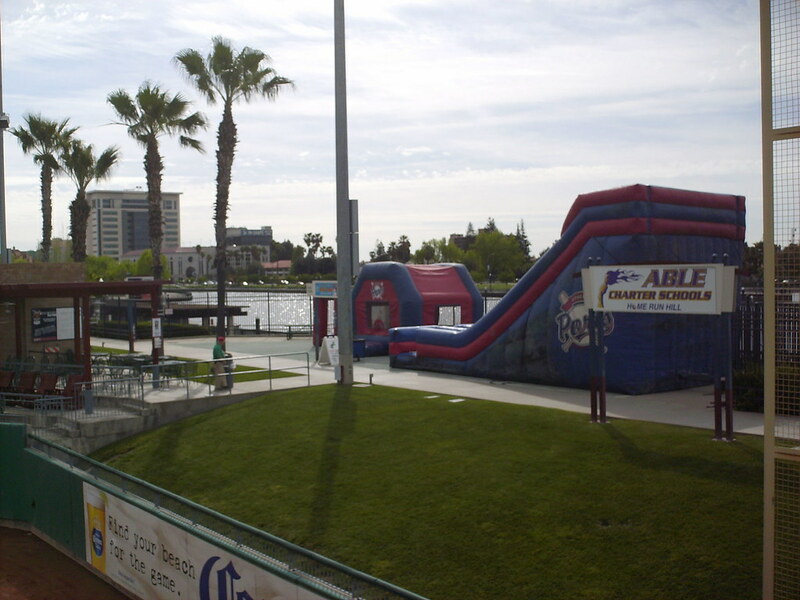 Banner Island Ballpark backs up to a river that runs through the port of Stockton and fans can dock their boats behind the center field berm and enter the park from the river. 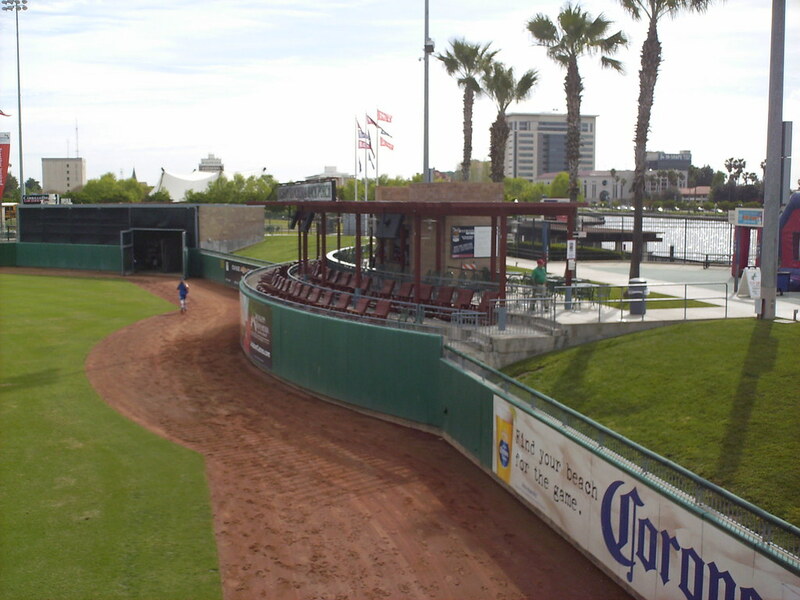 A covered pavilion along the berm pushes the wall out into the field of play in center field. 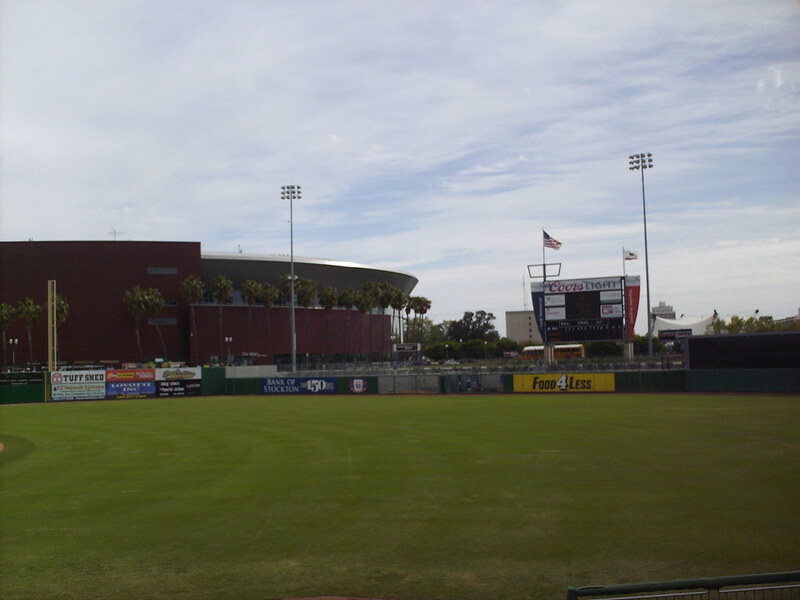 The outfield wall makes several sharp turns and changes in heights several times as it wraps around the field of play. 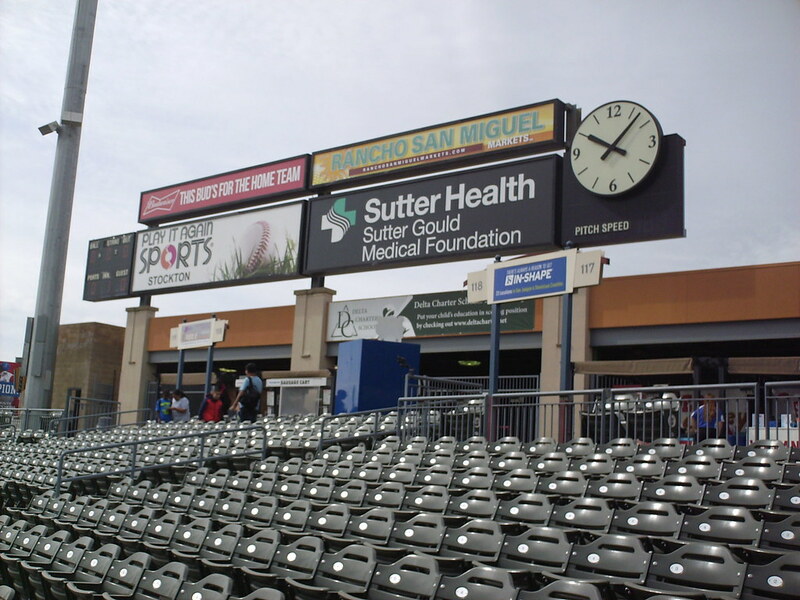 A clock and a small scoreboard sit on the first base concourse. 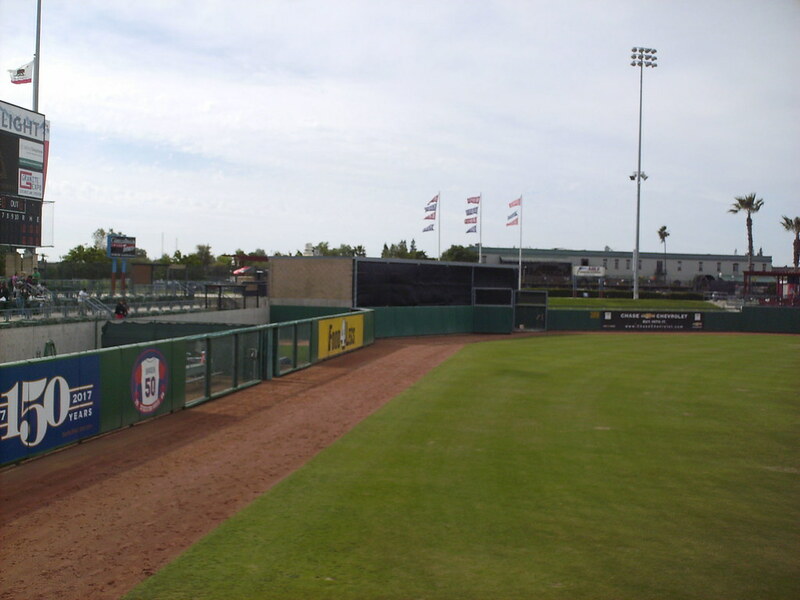 The scoreboard sits behind the left field wall. 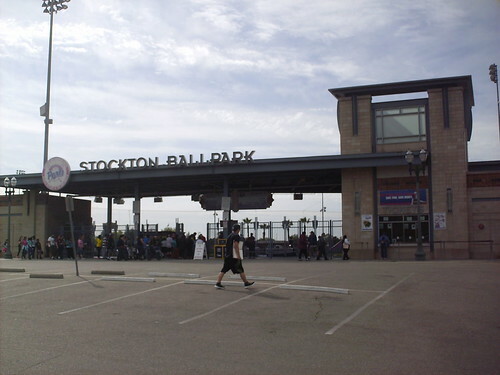 The Stockton Arena stands next to the ballpark. 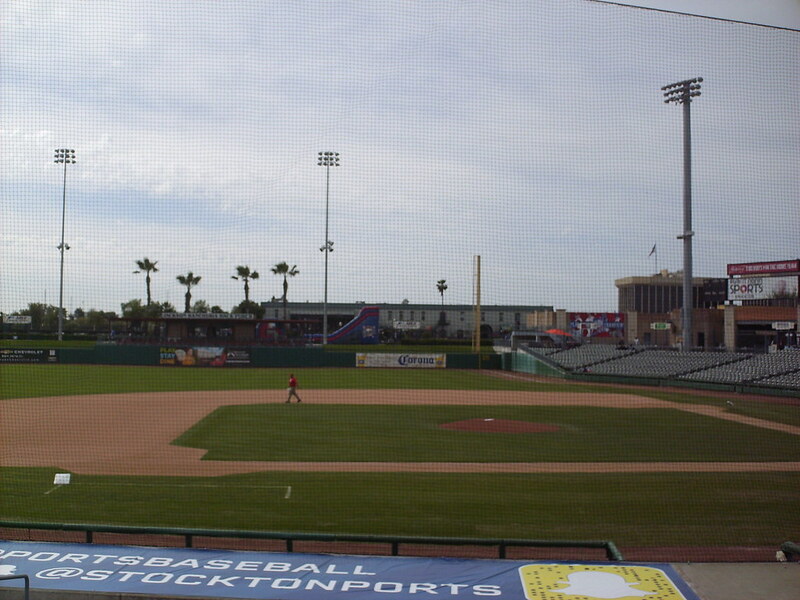 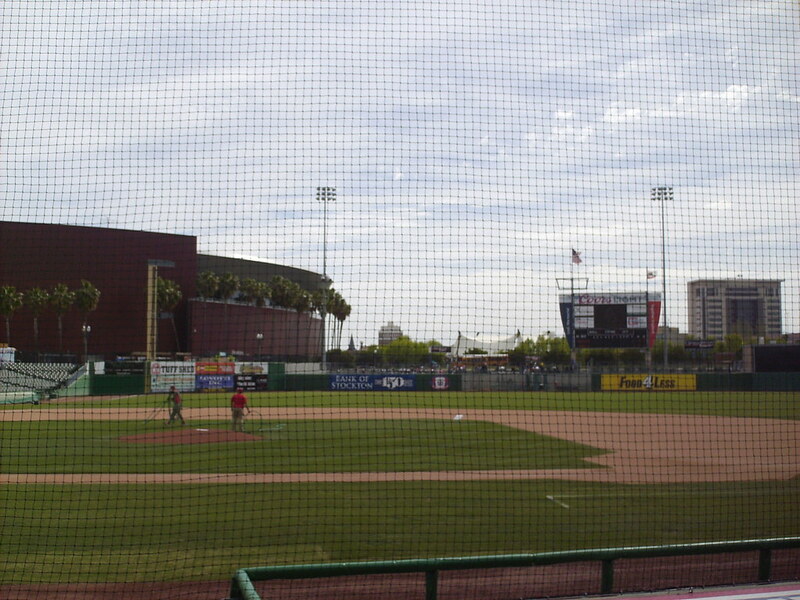 The Stockton Ports on the field during a game at Banner Island Ballpark.